Forgotten Cats is an essentially all-volunteer organization. Without volunteers we would be unable to accomplish our goals of trapping, neutering, and releasing stray and feral cats, medically treating young, pregnant, sick and injured cats, and finding homes for kittens and cats who would be best served in a loving home. Please fill out this short form so that we may match you with our volunteer opportunities. Can you tell us what hours/days you will be available? For example, "weekdays after 5", "every other Saturday", "every Tuesday from 9am-4pm", "a few hours a week at varying times", etc. Why are you interested in volunteering for Forgotten Cats? Please check the volunteer opportunities that interest you so that we can forward your application to the appropriate coordinator(s). 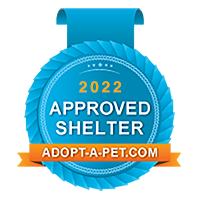 If you'd like to provide a foster home for cats awaiting adoption, please fill out our foster application.